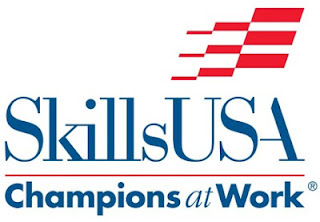 I am representing my state (UT) at the National Skills Conference in Kansas City, MO. Last week I did a lot of practicing and preparation, and then we flew out on Monday. There are 6 other students from my college representing our state in their categories and we came with 6 advisors to the competition. Yesterday I finished competing in my category which is "Restaurant Service". I am SO GLAD it's over. Whew. Stressful week. Today and tomorrow are all about relaxing and playing....and then we leave early on Saturday morning to fly back home. I have missed my husband and kids...and my own bed and my kitchen!! I don't like eating out for every meal. We were fortunate to have a mini fridge and microwave in the rooms, so I stocked up on some things for breakfast and snacks, but I still have to eat out with the group on occasion. I HATE the humidity here! Mama Mia! This week has been a good reinforcement of my decision to never move out of UT. I can deal with the high elevation baking....I am willing to sacrifice that to not have to deal with all that mugginess. Oye. Tomorrow night we find out the winners. I blew my "Wine Service" portion of the event (I don't drink...what can I say...I know too little about wine.) I'm afraid that whole section will have cost me the chance to place in the top 3. Hey, it's life. It was a good experience to come and be a part of this, but I'm ready to be done with it! !